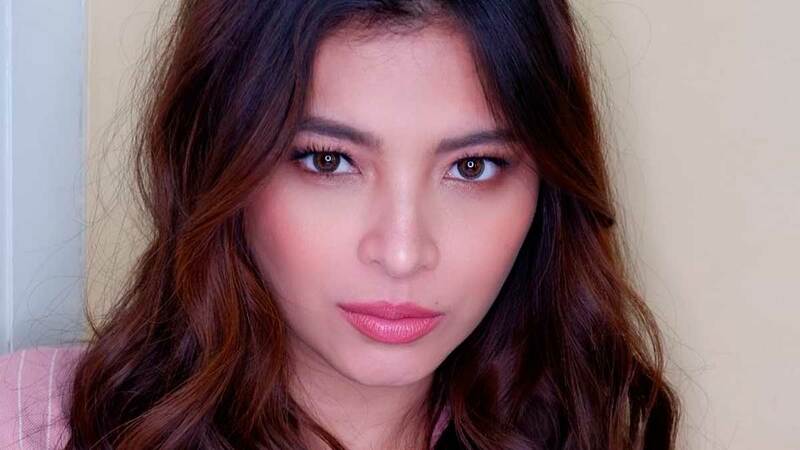 Angel Locsin received a guaranteed talent fee even when she was not working on her own ABS-CBN teleserye for the past five years. The 33-year-old actress revealed this during the press con for The General's Daughter, held at ABS-CBN's Dolphy Theater, on January 15. How does she feel now that her long wait for a teleserye is over? Angel readily answered, "Honestly, sumusuweldo naman po ako kahit wala akong ginagawa. "So okay lang sa akin. Kumbaga, mas favor po sa akin. "So ngayon, kailangan ko nang mag-work kasi five years na akong sumusuweldo. Yun." The Kapamilya actress pointed out that there were a lot of factors why it took time before she was given a major TV project following her 2014 prime-time series The Legal Wife. "At first, parang hindi ko alam. Siyempre andaming projects na hindi natutuloy. "Siyempre instructions with ABS-CBN din na dapat may gagawin akong previous na project, hindi ako dapat tumanggap ng ibang project, concentrate lang dun." While she didn't mention her supposed project that didn't come to fruition, Angel seemed to be referring to her starring role in Star Cinema's movie adaptation of Darna. Her training for the movie got held up when she was diagnosed with a disc bulge in 2015. Although she sought treatment for her injury, ABS-CBN eventually announced in 2017 that Angel can no longer play the title role due to her doctor's recommendations. Also during the press con, Angel said, "So yun yung isang mga rason kung bakit hindi ako nagte-teleserye. Pero nagpepelikula po ako. Gumagawa ako ng ibang guestings." Despite the roadblocks she encountered in the past, Angel remained optimistic about focusing on what she has now. "Mas lighter yung mga tingin mo sa mga bagay, hindi yung masyado mong pinoproblema, masyado mong wino-worry. "Kasi mangyayari naman kung anong dapat mangyari." In the end, Angel said that she's grateful to be working with a power-house cast including showbiz veterans Maricel Soriano, Janice de Belen, Eula Valdes, Tirso Cruz III, and Albert Martinez. Angel also gave credit to the dramatic prowess of her leading men Arjo Atayde, Paulo Avelino, and JC de Vera. "I think, ito yung perfect moment na babalik ako ng teleserye. Kasi nandito po lahat ng mga dream kong maging katrabaho. "I'm really happy with the group, mahal ko mga katrabaho ko. Yun lang ang concentration ko." To the viewers, Angel said, "And lahat kami ang focus namin ay pagandahin ang show for the people, kasi yun lang naman ang trabaho namin—to entertain. "At sana mapasaya namin kayo kahit papaano dito sa The General's Daughter."